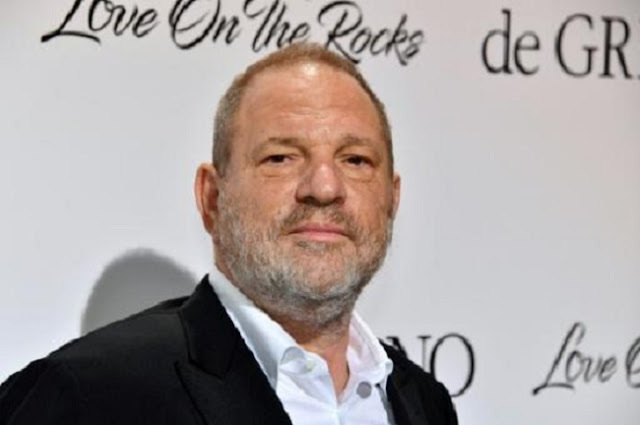 LOS ANGELES - The Weinstein Company has launched an internal probe over sexual harassment claims against co-chairman Harvey Weinstein, confirming he has taken an "indefinite" leave of absence. Revelations that the Hollywood mogul sexually harassed women for nearly three decades prompted three of the company's nine board members to resign, according to The New York Times which broke the news in a bombshell report earlier this week. "We strongly endorse Harvey Weinstein's already-announced decision to take an indefinite leave of absence from the company, commencing today," said a statement signed Friday by four board members: Bob Weinstein, Tarak Ben Ammar, Lance Maerov and Richard Koenigsberg. "As Harvey has said... it is important for him to get professional help for the problems he has acknowledged. "Next steps will depend on Harvey's therapeutic progress, the outcome of the board's independent investigation and Harvey's own personal decisions." Weinstein Company officials did not immediately respond to requests for comment. Lisa Bloom, one of Weinstein's lawyers who specializes in sexual harassment cases, said Thursday that her 65-year-old client "denies many of the accusations as patently false." "He has acknowledged mistakes he has made," she wrote. "He is reading books and going to therapy. He is an old dinosaur learning new ways." In a statement, Weinstein -- a staunch Democratic campaign fundraiser who backed Hillary Clinton in her presidential bid -- said he respected all women and was hoping for a second chance while acknowledging he had "work to do to earn it." A father-of-two who is married to English fashion designer Georgina Chapman, Weinstein is considered a powerhouse in Hollywood and many of his movies have picked up Oscars over the years, including "Good Will Hunting" and "The Artist." The pair went on to create The Weinstein Company, producing such hits as "The King's Speech," "The Butler" and "Django Unchained". The Weinstein Company has launched an internal probe over sexual harassment claims against co-chairman Harvey Weinstein, confirming he has taken an "indefinite" leave of absence.